Let’s say you are eyeing some data on the Internet that you want to scrape! You would want to find out the best way to do it, right? The best way to go about it is to select the best programming language that can help you scrape the data you want. Trust me, there are many and you could easily make the wrong choice! You can end up spending time and energy into something that may not yield desired results. Google can give you quite a few recommendations but you also need to keep your needs in mind! A particular language may or may not be suitable for large scale web scraping need that you may have. Well, you cannot start with what you don’t know; so start with what you know! However you are a programmer you will find few useful terms and technologies for web scraping from this guide. The best programming language is, at times, the best language you know! So if you know Python, start with that and take it from there. It means you will have built-in resources for the language and some prior experience of how it works. In addition, you know the language so you can pick up speed in scraping much faster than doing that in another language. 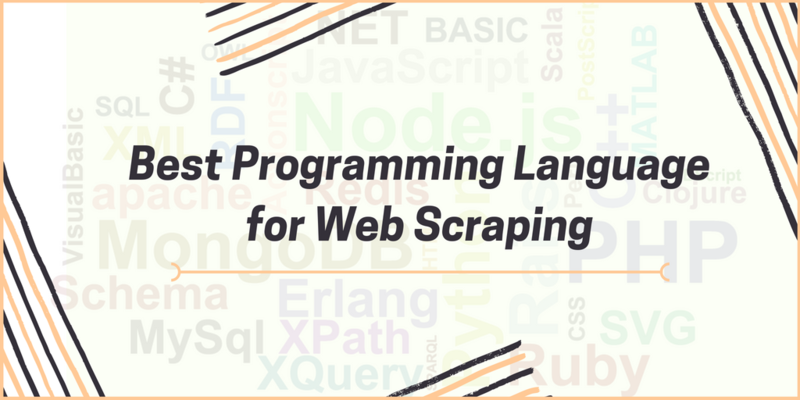 In all, you can immediately start web scraping if you start with the language you know rather than waiting for mastering a totally unknown language! When you are getting started, you really wouldn’t want to spend time trying to master a new language, would you? Particularly so because there are third-party libraries that you can tap into! You might wonder how to find out these libraries. Rest assured, it’s quite easy. All you need to do is type in Google, “language name web scraping library”. So what can you look for in a programming language for extracting data? How well you can do web crawling will depend on the language and the framework that you use. Python is the most popular language for web scraping. It is a complete product because it can handle almost all processes related to data extraction smoothly. The reason why Python is a preferred language to use for web scraping is that Scrapy and Beautiful Soup are two of the most widely employed frameworks based on Python. Beautiful Soup- well, it is a Python library that is designed for fast and highly efficient data extraction. This video can guide you step by step to scrape a website using Python and Beautiful Soup. great because it’s got great features like it supports XPath, provides more effective Scrapy – is another popular web scraping and web crawling framework – Scrapy is performance thanks to the Twisted library and carries a set of amazing debugging tools! Pythonic idioms for navigation, searching and modifying a parse tree are also quite useful. These advanced web scraping libraries make Python such a popular language for web scraping. When you are going for data analysis software, you would need to keep in mind the provision for data visualization. There’s no doubt that Python has obviously good visualization libraries such as Seaborn, Bokeh and Pygal. However, it’s a problem of plenty- there are too many options for data visualization! In addition, compared to R, visualization in Python is not at its best. The resultant effect is not that breathtaking. 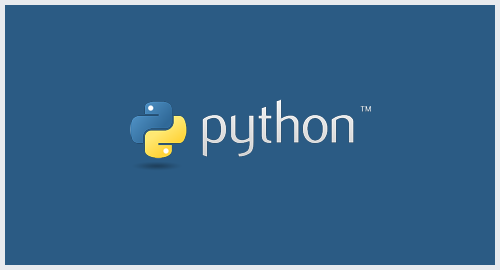 Python poses a challenge to R.
At present, however it does not come across as the most attractive alternative to R which with its so many packages. Python is fast moving in this direction but it is not yet clear if it will be able to replace R or pose a serious threat to R.
Node.js is a particularly preferred language when it comes to crawling web pages that use dynamic coding, although it supports distributed crawling. 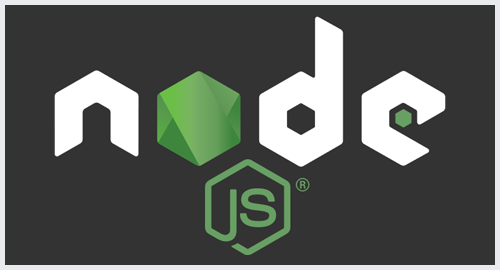 This guide will help you prepare a quick setup to do web scraping using node.js. Each Node.JS process takes one core on the CPU. People use multiple instances of same script in order to exploit this feature of NodeJS. If your computer has multiple cores, and you need just 1 process to exploit them to the max, you should use other tools. And we need just one process to scrape relevant data in most cases. Request-promise — That allows us to make quick and easy HTTP calls. advisable if your need is to scrape large-scale data. Stability of communication is not too great. It’s not the ideal recommendation for long running processes. Ruby is one of the sought-after open source programming languages. It is preferred because it is packed with astonishing simplicity and productivity. It carries a syntax that is simple to follow and convenient for writing. 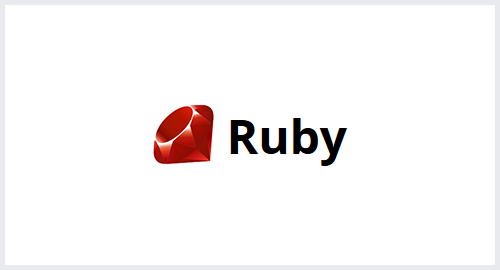 Ruby stands for the delicate balance as Yukihiro “Matz” Matsumoto, who created it, packed it with different parts of languages such as Perl, Smalltalk, Eiffel, Ada and Lip and conceptualized a new language. It is a language that stands out in the way it maintains the balance of functional programming with the aid of imperative programming. Ruby is also important because it takes little time to write. Ruby on Rails which is one of the most preferred web frameworks that enables one to write less code and prevent any kind of repetition. NokoGiri, HTTParty and Pry can enable you to set up your web scraper without any hassle. NokoGiri is a Rubygem that offers HTML, XML, SAX and Reader parsers with XPath and CSS selector support. HTTParty is the gem that helps send an HTTP request to the pages that you want to extract data from. What it will accomplish is that it will furnish all the HTML of the page as a string. This language is not supported by a company as most languages are. It is basically supported by a community of users. It is also slower in comparison with competing programming languages. Specifically for the less known gems and for libraries, it is not easy to locate good documentation. Although it does support multithreading, it is not quite efficient. It means that it will use up more computer resources. C and C++ offer an outstanding execution but it is a costly affair to set up a web scraping solution. Therefore, it is not advisable to use these languages to set up a crawler unless it’s a specialized organization that you have in mind, focusing only on extracting data. Using libcurl to fetch URLs and then write your own HTML parsing library that meets your needs given your target platform. Scraping for something specific is much simpler than organizing and walking a DOM tree, so you don’t need a library that converts the entire HTML document into a searchable structure. C++ is not a great choice for any web-related project because it is easier to get it done using a dynamic language. As mentioned earlier, it is quite expensive to put in place a web scraping set up using C++. 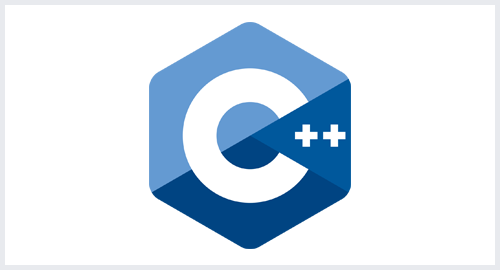 For extracting data, C++ can be used but it is not best suited for creating crawlers. 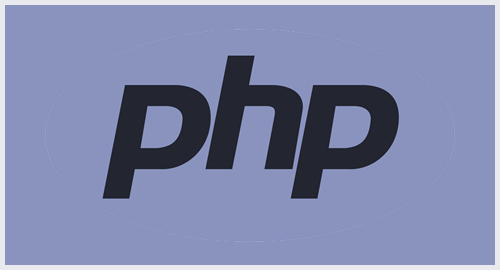 For building a crawler program, PHP is the least preferred language. If you want to extract graphics, videos, photographs from a number of websites, using a cURL library is a better option. cURL can transfer files using extensive list of protocols including HTTP and FTP. This can help you create a web spider to download almost anything from the web automatically. Such a weak support for multi-threading and async can lead to several issues as far as task scheduling and queuing are concerned. No language can be perfect in itself. It will depend on your specific needs. Each language contains advantages and disadvantages that you may carefully consider in view of your web scraping needs. Once you have clearly articulated your needs, the above mentioned description of each language and its features and limitations will be hugely helpful. Keep the terms of conditions of a website in mind while web scraping. Don’t post the scraped data anywhere on the public forum. Study these languages and choose the best programming language to extract data from the web and obtain a crucial edge over others!